† There is no Sc4. 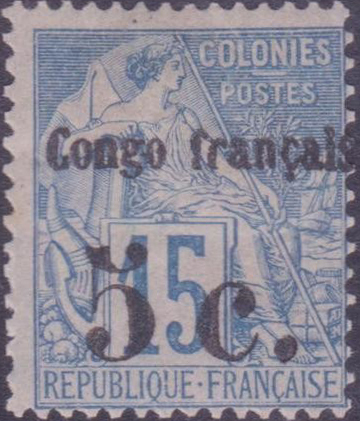 Combining the narratives from Scott  and Gibbons , by 1888, French Congo included the Chad and Ubangi-Shari territories and in December of that year, Gabon was added to create the colony of Gabon-Congo, renamed Congo Française in 1891 in time for the first stamp issue. Stamp World History has a useful flowchart of the various joinings and separations that followed. In December 1903, it was announced that from July 1904, French Congo would be divided into Middle (Moyen) Congo, Gabon, Ubango-Shari and Chad. Germany took some of the territory in exchange for giving up its interest in Morocco. 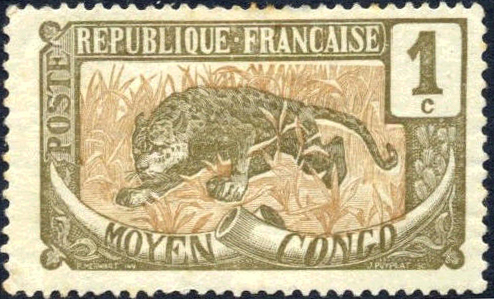 In 1910, Middle Congo rejoined the others to form French Equatorial Africa, but continued to issue its own stamps until 1937. Middle Congo became an autonomous state of the French Union as Congo Republic in November 1958 and an independent state in August 1960. 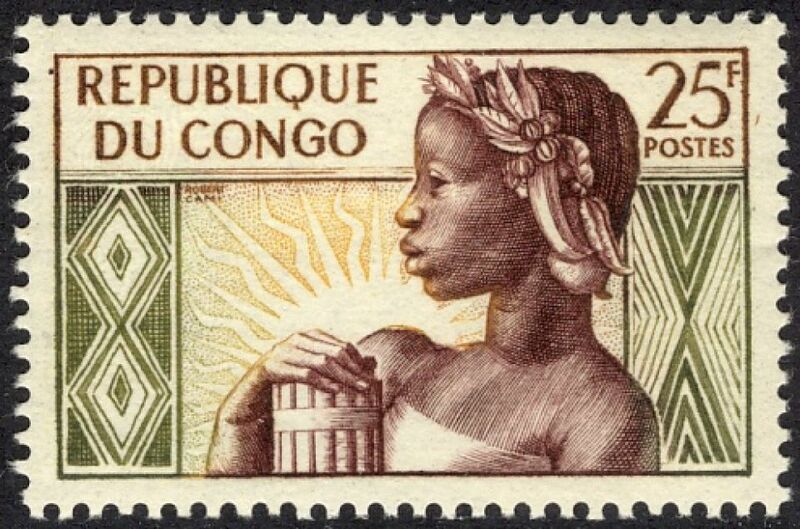 It was also known as the People's Republic of Congo and its stamps were inscribed Republique Populaire du Congo and between 1970 and 1991. Not that in addition to the (People's) Republic of Congo, there is also the Congo Democratic Republic, previously Belgian Congo.